Animals frequently experience changes in their environment, including diel and seasonal shifts in abiotic and biotic factors. In addition to physiological and morphological changes, animals alter their behavior in response to environmental variation. This study examined the impacts of heterogeneous environments on mating behaviors. We examined both male and female túngara frog phonotactic responses to multimodal (audiovisual) and unimodal (acoustic) stimuli. We altered aspects of the physical environment by changing substrate (terrestrial and aquatic) and ambient light levels. Females demonstrated a similar preference for the audiovisual stimulus regardless of substrate but decreased latency to choose in an aquatic environment. When ambient light levels were increased (relative to darker control), females reversed their preference, avoiding the multimodal stimulus, but the latency to choose was unchanged. Males demonstrated no preference for the multimodal signal on either substrate, but like females, male latency was reduced in an aquatic environment. Different environments carry their own associated costs, including varying levels of predation risk. Increased light levels and an aquatic environment likely carry higher predation risk and therefore should lead to changes in female and male responses. Interestingly, these two environments do not cause uniform changes in female responses. The addition of an aquatic environment led to a reduction in latency, whereas an increase in ambient light levels induced a change in female mate preference. These findings demonstrate the importance of the environment on mating responses to multimodal signals. Responses to conspecific mating signals (e.g., mate preferences) have often been assumed to be static. In this study, we tested responses of both male and female túngara frogs to a multimodal (visual + vocal) advertisement signal under varying environmental conditions. Elevated light levels changed female responses to mating signals. When both sexes were required to swim, rather than walk to a signal, their choices did not change. They did respond faster, however. 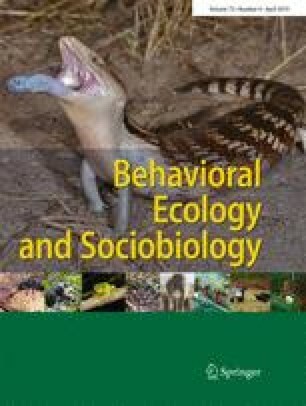 These results indicate that measuring the strength of sexual selection should be considered as a function of both innate preferences and the environmental conditions experienced by the animals. Kyle Davis provided help with data collection and logistics. Two anonymous reviewers provided valuable comments, improving the manuscript. The Smithsonian Tropical Research Institute provided logistical support and laboratory space. Funding for equipment was provided by NSF grant (no. 0517328) to RCT, MJR, and RAP. Salisbury University provided travel funding for ADC, RCT, and KLH. Travel funds were facilitated by Stephen Gehnrich and Clifton Griffin at Salisbury University. Handling and toe clip procedures were conducted in accordance with The American Society of Ichthyologists and Herpetologists’ Guidelines for Use of Live Amphibians and Reptiles in Field and Laboratory Research. All experiments were conducted in accordance with Smithsonian Tropical Research Institute guidelines and approved by the Institutional Animal Care and Use Committee (protocol no. 2015-0209-2018). All necessary permits were obtained from the Panamanian government including collecting permit numbers SE/A-30-16 and SE/AO-1-17.